Retail game releases have slowed down to a crawl, so the summer is always a good time to get caught up on digital games. Of course, there’s probably no better way to beat the heat this week than with the much anticipated PSN/PS Vita adaptation of Hotline Miami. We also get Deadpool and Ride to Hell: Retribution for the PS3, and PS Vita gamers can pick up the amazing-looking Muramasa Rebirth. 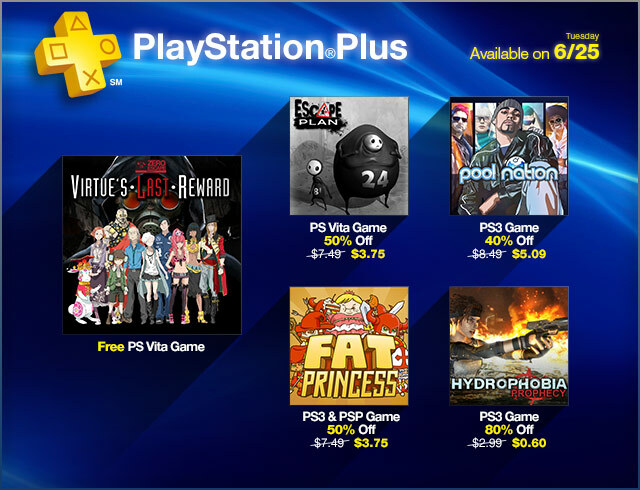 Motorbike, Pool Nation, Magic 2014 and Spartacus Legends are available as PSN titles too. Read on for the full listing of games, sales, price changes, demos and whatnot. A casual bike skills game full of action and real physics dynamics. Motorbike comes with 80 original tracks, thousands of online tracks and a track editor to create you own tracks and share with other players. Select from different riders, bikes and landscapes. You will find Motorbike easy to play but hard to master. Pool Nation is the ultimate pool game – with eleven addictive game modes, including the adrenaline pumping Endurance, extensive career modes and seven exciting online modes including the new Speed Pool! It’s time for revenge! Jake Conway has just returned home from Vietnam when his younger brother is brutally murdered by a rival biker gang called “The Devil’s Hand”. Set in the outlaw era of America’s Sixties, Jake takes on anyone or anything standing in the way of his bloody revenge fest – on bike, on foot and on fire. Join the Retribution! From master video game developer Vanillaware comes Muramasa Rebirth, an action RPG that blends the vibrant and beautiful world of Japanese mythology and high flying, fast-paced action! Enter a world where demon, samurai and other deadly enemies vie to destroy you as you search for the fabled Demon Blades. Become the possessed princess Momohime, as you travel West, or the fugitive ninja Kisuke, as you travel East, through mythical Japan battling anyone who stands in your way. Learn to train and care for your horses as you prepare them for Dressage, Show Jumping, and Cross-Country competitions. Customize your battleship and design your fleet to be the strongest force on the open sea. Beat the heat and stay cool this season with the Creat Studios Summer Survival Pack! The pack is loaded with 7 of Creat Studio’s most popular PlayStation®Network exclusive titles for one limited-time, very low price! We are proudly presenting an Indie Games bundle v2 with the greatest titles from famous independent game makers. BreakQuest: Extra Evolution – new concept interactive physics based break-out game. Jetpack Joyride – suit up a coolest jetpack and take to the skies on a one-way trip to adventure! Carnivores: Dinosaur Hunter – become a fearless dinosaur hunter! Enigmo – unique award winning 3D puzzle game. Wizorb – hard alloy of breaking bricks and RPG elements in a single game!